As jerky is not a part of our diet, it was a nameless commodity, exempt from our radar except perhaps when perusing the snack offerings at our local convenience store. But recently, jerky has been spicing things up. We believe today’s major shift in the marketplace towards dried meats, poultry and even fish can be attributed to a successful attempt at marketing beef jerky by a number of standout brands and an overall new story for the industry as a whole. Here are a few clues into the new found popularity of jerky. 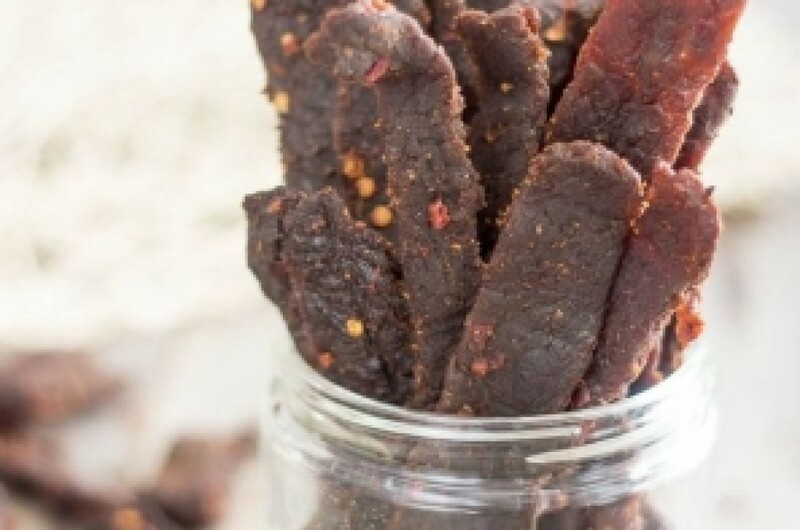 The Paleo diet has played a large part in the resurgence of beef jerky. This diet has been around for a few decades, but it wasn’t until recently that it became wildly popular and jerky marketers are making the most of this trend. Since it is based around high protein foods and low carbs, food items like beef jerky now appeal to consumers who have adopted the Paleo lifestyle. The go-go-go nature of today’s society also plays a role in the comeback of beef jerky. On-the-move snacks have become such a large part of today’s culture and people are often looking for a protein-filled options like jerky to carry along when in a rush, or to keep on hand to curb hunger in a traffic jam. While diets and societal needs certainly play a part in a product’s revival, it is often the branding and identity created around a product that make it truly take off. When a brand tells a story through their marketing it gives consumers something to identify with, or aspire to. There is something more to offer than taste and convenience alone. One example of this in the beef jerky market is seen with the brand Krave. Krave was launched in California by a marathon runner who liked to have jerky on hand while training. The creator reinvented the jerky image by modifying the recipe to produce a healthier product, without nitrates or msg. 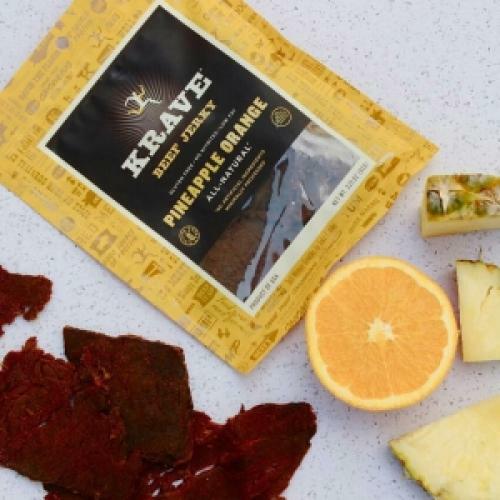 With the brand promise that Krave is “elevated” jerky, originating from California’s wine country, flavours take a gourmet, artisanal twist including “Basil Citrus Turkey,” “Curry Beef” and “Honey Chipotle”. Now owned by Hershey, their marketing campaigns feature high-profile athletes to bring an overall feeling of energy, athleticism, culinary interest and healthy living to the identity of the brand, beef jerky and the consumer who purchases their products. 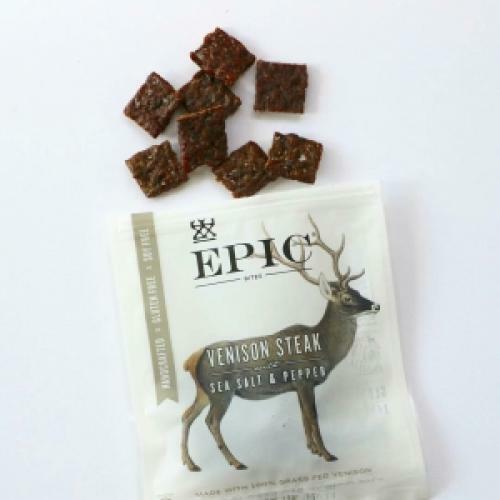 Similarly, Epicbar, found in many health food stores, has created an image for jerky of their own. Epicbar takes on a different target than Krave, with the brand showcasing an organic, nature-inspired image around their product lines. With beautifully designed packaging and unique flavours, they have created a feeling around the products that their consumers can identify with. Epicbar uses the tagline “Live Wild, Eat Free” to play on elements from its brand story including the importance of our ancestors’ diets and respecting nature. We often forget how many commodities have turned into brands, like when we ask for a Kleenex instead of a tissue, or a Sharpie instead of a permanent marker. Through the help of the factors listed above, beef jerky has become an on-trend snack food associated with a healthy and active lifestyle, something we would never have guessed years ago. What product do you think will be next to transition? What products or services are on your radar that have extremely strong and engaging brand stories?